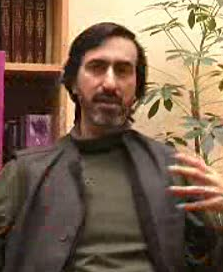 REZA SHAH-KAZEMI was born in 1960 in London. He was educated at Sussex University, Exeter University, and Kent University. He spent a year in Paris studying French and is fluent in Persian. In 1994 Reza co-launched the journal Islanmic World Report, which is now a publishing company. From 1997-1999 he served as a consultant to the Institute for Policy Research (IKD)in Kuala Lampur, Malaysia, a political-cultural think-tank, and general editor of IKD Monograph Series. He has authored and translated a number of works, edited a number of collective volumes, and published over a dozen articles and reviews in academic journals. Reza Shah-Kazemi is currently a Research Associate at the Institute of Ismaili Sutdies, London, trustee of the Matheson Trust, and contributor to the BBC World Service program, Pause for Thought.